The people who work there could not have been friendlier or more helpful. 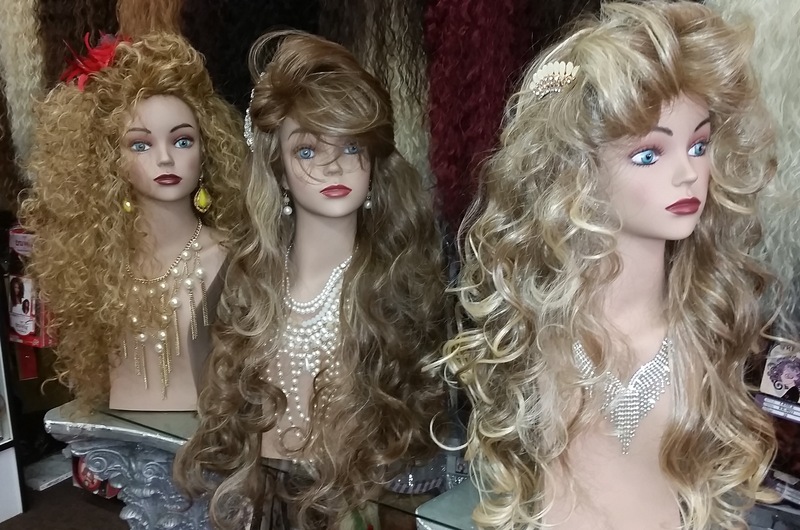 We ended up buying two wigs at $50 each. There is a woman who works in the back of the store who gave us a quick lesson in brushing the wigs out. Her secret is to put the hairspray on the brush. She says you should never spray the wig directly. They do have a strict policy about trying wigs on. 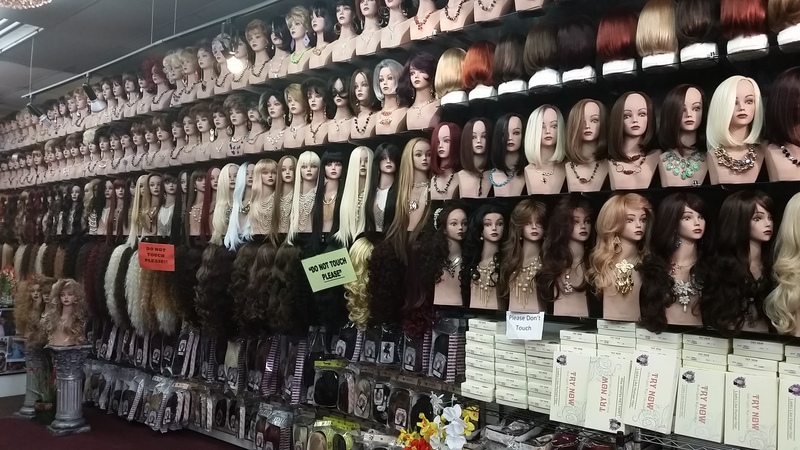 You must buy one of their $2 wig caps (so don’t bring your own) and you can only try on three wigs. Oh, and they only accept cash. This entry was posted in DTLA Shopping and tagged Beauty Supplies, Downtown LA, Downtown Los Angeles, DTLA, Gloria's Wigs, Santee Alley, Wigs. Bookmark the permalink.